An injection that reduces fat - hailed as the 'next Botox'! Kybella™ is the first non-surgical, minimally invasive treatment approved by the FDA to eliminate submental fat, otherwise known as neck fat, or the dreaded 'double-chin'. Dr. Rotunda co-invented deoxycholic acid as a treatment for fat reduction during his UCLA dermatology residency and now, over 10 years later, after rigorous testing in FDA clinical trials, it is known as Kybella™, a safe and effective treatment for patients in North America. 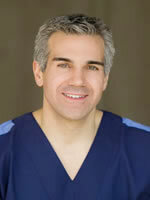 As a pioneer of this treatment, Dr. Rotunda has unparalleled depth of knowledge and experience with this medication. Our Newport Skin Cancer Surgery practice was created to care for and heal your skin and make your skin cancer free. Like it or not, when it comes to living, everyone “has skin in the game” … The current epidemic of serious skin cancers has touched millions of people without regard to age, gender, lifestyle or occupation. 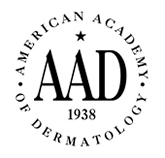 In fact, one of the healthiest things you can do is include an “Annual Skin Check” on your calendar with your dermatologist, and it goes without saying that you should work to prevent sunburns, which we now know can have unwelcome and awful consequences (like premature aging and skin cancer). You are likely to be reading this because you have been referred to us by your regular physician or by a specialist. Nearly all our patients come to us because their doctors have referred them. We are grateful for the high level of confidence the healthcare community has shown in our ability to help meet patient needs. But, it is your skin we most want to care for, evaluate, treat, heal and save. What we do is treat very serious skin conditions. The way we do it is always the most effective and least invasive we can manage. Our nationally recognized expertise in Mohs Micrographic Surgery procedures helps us provide top quality care to you through what can be described as “real time evaluations” as your procedure/surgery is in progress. In a way, Mohs surgery serves to assist us to “get it right” the first time, or should the cancer have recurred, be the definitive treatment so that it does not return again. In short, the Mohs technique offers a vastly more complete and thorough treatment experience than might otherwise be expected or have been offered to you (radiation, creams, scraping and burning, and traditional skin excision do not offer the high cure rates and normal tissue sparing of Mohs micrographic surgery). By now, you are very aware that your healthy skin is not to be taken for granted. Years of advanced study (9 years beyond college), research, and patient care by Dr. Rotunda, Dr. Bickle, and their staff, and our personal dedication to you assures that you will not be taken for granted here. We seek to be deliberate and caring in our actions as nothing is more important to us than you and your skin. Please do take time to review the rest of our website. We hope the information gathered here will help you understand what we do and how it can be helpful to your skin health. Information provided on this web site is neither intended nor implied to be a substitute for professional medical advice. You should not use this information on this web site or the information on links from this site to diagnose or treat a health problem or disease without consulting with a qualified healthcare provider. We advise you to always seek the advice of your physician or other qualified health provider prior to starting any new treatment or with any questions you may have regarding a medical condition. If you are in need of mental health services, please contact a licensed professional. If there is an IMMEDIATE CRISIS, CALL 911.